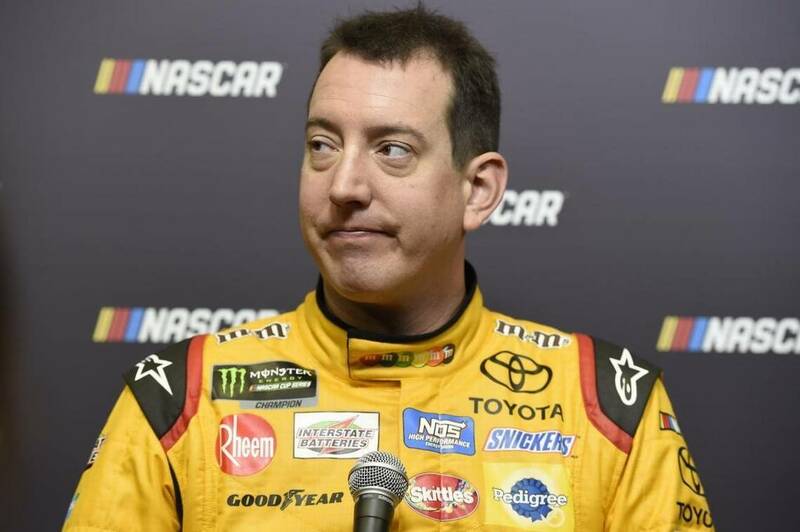 NASCAR rolled out its annual Preseason Media Tour in Charlotte, North Caroline last week, and it took Kyle Busch approximately 20 minutes to ignite the season’s first controversy. Last Tuesday, Busch lambasted NASCAR for its marketing strategies, saying the sanctioning body is giving too much attention to young, unproven drivers, at the expense of established veterans like himself. "It is bothersome,” said Busch of what he called a “stupid” marketing campaign. “We’ve paid our dues, and our sponsors have and everything else. All (NASCAR is) doing is advertising all these younger guys for fans to figure out and pick up on. Busch’s comments drew an immediate response from both the sanctioning body and his fellow drivers. Kurt Busch quickly jumped to his younger brother’s defense, saying young drivers are getting “a free pass” to stardom. Speaking on The Domenick Nati Show, Busch said, “…there is ‘zero’ in the win column for a guy like Chase Elliott, zero for Bubba Wallace, Erik Jones (and) all those guys. NASCAR’s younger drivers were less supportive, with 24-year old Team Penske driver Ryan Blaney placing the blame directly back on Busch. “If some drivers were more willing to do these things, they’d get asked more to do it,” he said “The reason why I get asked to do a lot is because I say ‘yes’ a lot; because I think it’s good for the sport and myself. I can tell you personally, (Busch) doesn’t like doing a lot of stuff, so they don’t ask him. Rookie contender Darrell “Bubba” Wallace Jr., was more direct, calling Busch’s remarks “stupid. I love Kyle to death, but, dude, come on. He was in the same spot we are. He had some of the same treatment we went through. In an exclusive interview with Sirius XM NASCAR Radio, NASCAR executive vice president and chief global sales and marketing officer Steve Phelps defended the sport’s current marketing efforts. said. “Hall of Fame drivers like Jimmie Johnson, Kevin Harvick, Kyle Busch, Martin Truex Jr., Brad Keselowski and Joey Logano… are such an important part of everything that we do. And they should be. "But we are also need to expose these young drivers, so our fans understand who they are. They’re authentic, they want to win on the race track and they’re fantastic drivers. Phelps admitted, however, that drivers like Busch may have gotten the short end of the stick at the start of their careers, due to an abundance of older, more established stars at that time. The Busch brothers, Blaney and Wallace all have valid points. With established stars like Jeff Gordon, Tony Stewart, Carl Edwards, Dale Earnhardt, Jr. and Matt Kenseth all withdrawing from the sport in recent years, NASCAR has understandably begun to look for its next batch of superstars. Drivers like Larson, Blaney and Chase Elliott are clearly ready to fill that void, whether or not they have yet visited Victory Lane. 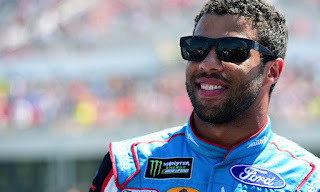 While popular, NASCAR’s new stars do not yet command the massive fan base enjoyed by frequent winners and former series champions like Busch, Jimmie Johnson and Kevin Harvick, to name just a few. Kyle Busch is correct when he says that the sanctioning body cannot afford to ignore its established stars, in favor of the Young Bucks. Blaney and Wallace are absolutely right, however, when they accuse some older drivers of doing less than they should to help promote the sport. While running (and winning) multiple NASCAR Xfinity and Camping World Truck Series events each season, Kyle Busch seldom makes the customary Monday media appearances asked of those event winners. Instead, the former MENCS champion routinely passed those duties off to his NXS and NCWTS crew chiefs. 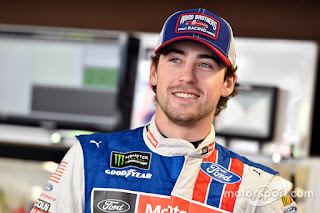 Blaney has quickly established himself as a fan favorite, largely through hard work and extra effort. His “Glass Case of Emotion” podcast on NASCAR.com has developed a large following. He has made guest appearances appeared on Bravo’s “Watch What Happens Live,” lent his voice to “Cars 3” and will soon be featured on an episode of NBC’s “Taken.” He takes time to interact with fans, as evidenced by his impromptu Texas Motor Speedway “pizza party,” where he purchased and handed out pizza to fans attending a recent MENCS test session. When’s the last time you saw an established star do that? “I’ve been really fortunate to get a lot of great chances from NASCAR,” said Blaney. “And I’ve always been very open to do a lot of things they want. I think it is really important to have -- not only young drivers -- but all NASCAR drivers be pushing to get new demographics of the world… into the sport. I think everybody should be a little more open to helping the sport out. “If I have to sacrifice time, it’s just time,” he added. “It really doesn’t mean much to me, personally. I’d rather do something meaningful to the sport than just sit on my couch because then I just don’t feel like doing anything. With an aging fan base and a dwindling market share, Blaney’s approach makes perfect sense. Look what Gibbs did to Matt Kenseth. He was dumped for an unproven driven that could have stayed where he was. How much money did Joe Gibbs save? Every business owner looks at the cost of their employees. At some point they decided that Matt Kenseth demanded too high of a salary so they let him go and explore other options. The fact that nobody else stepped up to the plate to match his salary shows that maybe Gibbs was correct. My grandpa always said... pigs gets fat but hogs get slaughtered. We lost 3 veterans due to MONEY in 2018(Danica, Matt and even Jr.., I know most will not accept Jr. but...) And we will lose at least another 3 after this year, just what 3 is still to be determined! Cole Custer, Christopher Bell, Matt Tiff, Ryan Truex, Austin Cindric, Chase Brisco, Ty Majeski, John Hunter Nemechek and Ryan Preece are much much cheaper than our beloved veterans and at least 3 of them will be in Cup (whatever it is called)in 2019, just a economics lesson of the times! I've been a fan for 57 years and have seen many, many drivers come and go. The NASCAR fans of my generation sadly to say are getting fewer everyday and the sport has changed tremendously since the days of David Pearson and Richard Petty battling for wins. I see NASCAR'S point promoting these younger drivers, for us its a sport, but for them it's a business and the future of the sport is in their young hands. I'm not slighting the "proven" drivers, but realistically within the next 4-5 years Johnson, Harvick, the Busch brothers will either be retired or forced out like Patrick and Kenseth were. The fan demographic has certainly changed and whether we like it or not...so has the sport. You are so correct on seeing more of the established veterans gone but, I don't think it is going to be 4-5 years, I am willing to bet we will lose at least 3 veterans after this 2018 season and it will be due to younger cheaper talents out there for the owners to put in those veteran seats! I just hope the younger audience is enough to fill the void for those of us who love our veterans! NASCAR is grabbing at straws trying to find the next Jr. Maybe they should follow Dodge's lead and do more cross-promoting on social media with the stars and kids alike to reach out and try to get the millennials attention, who don't own cars in the same numbers we did or own foreign iron to pay attention instead of only promoting sponsor's products all of the time. Ten/the Roadkill phenomenon/David Freiburger/Motor Trend On Demand are examples of lessons NASCAR needs to learn to reach younger fans. Otherwise they face extinction. The Discovery channel figured that out pretty quickly. What a great quote from Ryan Blaney, “There’s always more you can do. You are never maxed out on your potential to make somebody’s day.” What if we all applied this outlook to our lives. I also absolutely loved that quote! Here's to him! Seems to me that Kyle manages to keep himself in the public eye...usually because of boorish behavior. He has an established fan base after all these years, so what does he have to complain about? The youngsters are willing to put in the time and effort to make a name for themselves, and more power to them. Don't expect to be handed the publicity, go out and make it happen. Kyle Busch speaks to get reaction. Apparently it works. Heard more than enough from/about him the past week even without NASCAR getting behind him in marketing. He needs the Lavar Ball treatment...keep trying to ignore him and hope he'll eventually shut up. MONEY! It all come down to money as in money NASCAR doesn't have anymore from series sponsorships! It is a trickle down effect NASCAR getting pennies to the dollar on the difference of what they were getting from Sprint compared to Monster and owners are getting less money also! NASCAR and car owners are now trying to figure out how to survive with less, these young winless talents are much cheaper than the proven veterans therefore, MONEY is driving the environment of promoting the younger cheaper drivers! Not trying to take anything away from their driving skills but the fact of the matter is Eric Jones drives for Coach for a whole lot cheaper than Matt Kenseth did last year etc. etc. etc. !